Looking to dress up your wall? We love this Tuscan Iron Wind Swept Sun Wall Plaque! The unique Mediterranean sunburst is handcrafted and features an antique gold finish with copper and red undertones. Use it on a patio wall to add a decorative touch or display it inside to bring a bit of sunny cheer to your space! 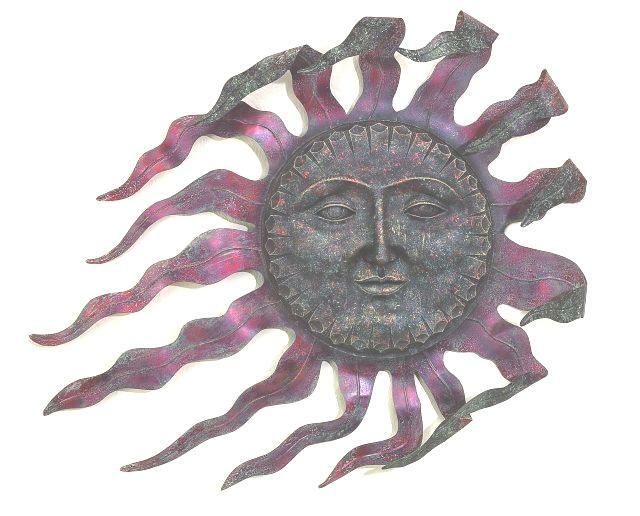 This unique sunburst wall decor is the perfect accent in or outside of your home.